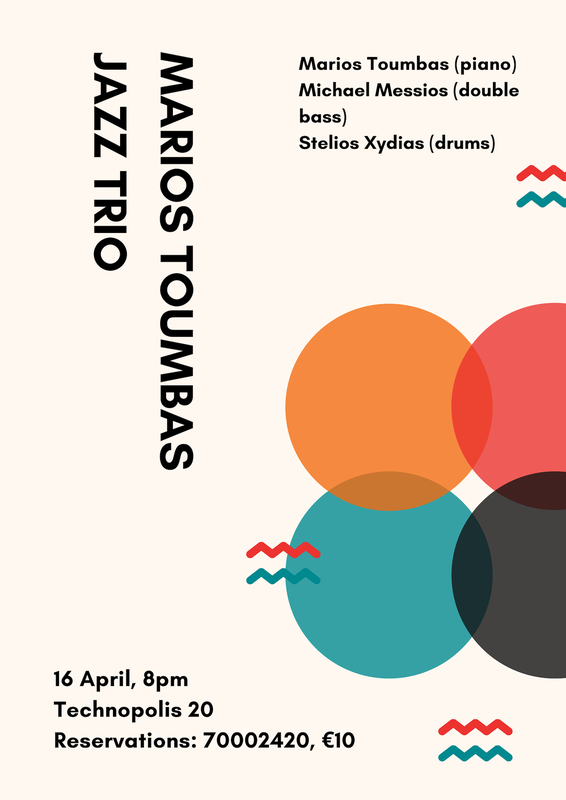 Stelios Xydias is a drummer born and raised in Limassol, Cyprus. He had his education and B.A. in Music 2011 grad. at the Codarts University of the Arts in Rotterdam, The Netherlands. He won the Nicolas Economou scholarship in 2009. Known for his versatility going from jazz, groove and different styles keeps him very active in his region. He has collaborated with all the big names in Cyprus as well with some international artists like Guthrie Govan (guitarist), Gilad Atzmon (saxophonist), Offer Gannor (guitarist), Damien Erskine (bassist) and more. Living in Limassol doesn’t keep him for appearing in international Festivals, as he has performed in Berlin, Athens, Netherlands, London and more. He has appeared in albums from artists like Mighty Sugarcane, Cahit kutrafali, Buray, Andreas Rodosthenous and more. He has also released his personal EP album called “Silence”, which is a solo drums project in 2014. Also he is deep in education by teaching drums in some big establishments in Cyprus.